Mr. Trump is right that most of the media want him to lose, but then that was also true of George W. Bush, George H.W. Bush and Ronald Reagan. It’s true of every Republican presidential nominee. The difference is that Mr. Trump has made it so easy for the media and his opponents. The latest stories comport with what we also hear from sources close to the Trump campaign. Mr. Trump’s advisers and his family want the candidate to deliver a consistent message making the case for change. They’d like him to be disciplined. They want him to focus on growing the economy and raising incomes and fighting terrorism. They think he should make the election a referendum on Hillary Clinton, not on himself. And they’d like him to spend a little time each day—a half hour even—studying the issues he’ll need to understand if he becomes President. Is that so hard? Apparently so. Mr. Trump prefers to watch the cable shows rather than read a briefing paper. He thinks the same shoot-from-the-lip style that won over a plurality of GOP primary voters can persuade other Republicans and independents who worry if he has the temperament to be Commander in Chief. He also thinks the crowds at his campaign rallies are a substitute for the lack of a field organization and digital turnout strategy. And he thinks that Twitter and social media can make up for being outspent $100 million to zero in battleground states. By now it should be obvious that none of this is working. It’s obvious to many of his advisers, who are the sources for the news stories about dysfunction. They may be covering for themselves, but this is what happens in failing campaigns. The difference is that the recriminations typically start in October, not mid-August. These stories are appearing now because the polls show that Mr. Trump is on the path to losing a winnable race. He is now losing in every key battleground state, some like New Hampshire by double digits. The Midwest industrial states he claimed he would put into play—Wisconsin, Pennsylvania—have turned sharply toward Mrs. Clinton. More ominously, states won by John McCain and Mitt Romney are much closer than they should be. If Mr. Trump is fighting to hold Georgia, Arizona and even Utah by September, a landslide defeat becomes all too possible. The tragedy is that this is happening in a year when Republicans should win. The political scientist Alan Abramowitz has spent years developing his “time for a change” forecasting model. The model looks at the rate of GDP growth in the second quarter of an election year (1.2% this year), the incumbent President’s approval rating, and the electorate’s desire for change after one party has held the White House for eight years. No model is perfect, but Mr. Abramowitz’s has predicted the winner of the major-party popular vote in every presidential election since 1988. His model predicts that Mr. Trump should win a narrow victory with 51.4%. A mainstream GOP candidate who runs a reasonably competent campaign would have about a 66% chance of victory. Mr. Trump has alienated his party and he isn’t running a competent campaign. Mrs. Clinton is the second most unpopular presidential nominee in history—after Mr. Trump. But rather than reassure voters and try to repair his image, the New Yorker has spent the last three weeks giving his critics more ammunition. Even with more than 80 days left, Mr. Trump’s window for a turnaround is closing. The “Trump pivot” always seemed implausible given his lifelong instincts and habits, but Mr. Trump promised Republicans. “At some point I’ll be so presidential that you people will be so bored, and I’ll come back as a presidential person, and instead of 10,000 people I’ll have about 150 people and they’ll say, boy, he really looks presidential,” he said in April. Those who sold Mr. Trump to GOP voters as the man who could defeat Hillary Clinton now face a moment of truth. Chris Christie, Newt Gingrich, Rudy Giuliani, Paul Manafort and the talk-radio right told Republicans their man could rise to the occasion. If they can’t get Mr. Trump to change his act by Labor Day, the GOP will have no choice but to write off the nominee as hopeless and focus on salvaging the Senate and House and other down-ballot races. As for Mr. Trump, he needs to stop blaming everyone else and decide if he wants to behave like someone who wants to be President—or turn the nomination over to Mike Pence. Crude hit a one-month high Monday on hopes that the prolonged oil-price rout may drive major producers to reconsider a collective production cap. Brent crude, the global oil benchmark, rose 0.9% to $47.38 a barrel on London's ICE Futures exchange. Officials in the Russian North Caucasus region of Daghestan have announced a security alert in the village of Tagirkent-Kazmalyar. A Russian lawmaker's son who U.S. prosecutors say orchestrated a hacking scheme that resulted in about $170 million in fraudulent credit-card purchases goes on trial this week in the state of Washington. Why did Vladimir Putin dismiss his powerful chief of staff? Listen to The Power Vertical Briefing. French Muslims bristled at the creation of a mosque-monitoring body led by a non-Muslim. Donald Trump's campaign team must disclose all pro-Russia links, Hillary Clinton's manager says, after a newspaper article alleges secret cash payments. MOSCOW (Reuters) - Russia said on Monday it had started planned tactical exercises in the eastern part of the Mediterranean Sea to test the ability of the Navy to act in crisis situations of a terrorist nature. Mr. Manafort continued working in Ukraine after the demise of Mr. Yanukovych’s government, helping allies of the ousted president and others form a political bloc that opposed the new pro-Western administration. Some of his aides were in Ukraine as recently as this year, and Ukrainian company records give no indication that Mr. Manafort has formally dissolved the local branch of his company,Davis Manafort International, directed by a longtime assistant, Konstantin V. Kilimnik. Jolani has laid down a gauntlet to Syria’s opposition. The most moderate FSA groups will be forced to choose between military and revolutionary unity, or operational isolation and subjugation. In short, Jabhat al-Nusra is taking yet another step toward shaping the orientation of the Syrian opposition in its favor. You can call it another day of the long knives. You can call it Kremlin musical chairs. Or you can call it Vladimir Putin's own personal game of thrones. But by whatever name, Vladimir Putin's dismissal of his powerful chief of staff and longtime confidant Sergei Ivanov did not happen in isolation. Combined with last month's mass shake-up of regional and federal elites -- which saw four regional governors, four federal district chiefs, and a disgraced customs boss replaced -- it illustrates that these are far from normal times for Russia's ruling elite. Governors and prominent law-enforcement officials are being arrested. Former Putin cronies who were once untouchable are being thrown under the bus. Suddenly, nobody feels safe. Suddenly, everybody appears vulnerable. For Russia's gilded ruling class, the rules are clearly a-changin'. "Putin, who is known for his loyalty to longtime associates, has left some of his friends vulnerable to attack. This is a new stage of Putin's rule," political commentator Leonid Bershidsky wrote in Bloomberg. For most of Putin's long rule, he was essentially the front man for an oligarchic elite -- the so-called "collective Putin" -- that effectively ruled Russia. According to Petrov, Putin is effectively abandoning an elite personnel policy resembling Leonid Brezhnev's "stability of cadres" approach and toward one reminiscent of Josef Stalin's -- minus, of course, the mass executions of ousted officials. An early clue that changes were afoot in Putin's governing model came back in 2014, at the height of the nationalistic fervor accompanying the conflict in Ukraine. Reports surfaced that Putin had been quietly bringing a new cadre of officials to Moscow -- recruited by the security services and vetted for loyalty to Putin -- reshaping the rank-and-file bureaucracy in his own image. Historian and political analyst Vladimir Pastukhov wrote in Polit.ru at the time that the fledgling new nomenklatura were between 25 and 35 years old, hailed mostly from the regions, and came from relatively poor backgrounds. They were selected based on their loyalty to the regime and for being "psychologically closer to Putin" than their predecessors. And they were "people without deep roots" who were "ready for anything" that facilitated their advancement. Putin's new "Class of 2014" filling the lower and middle ranks of the bureaucracy was a generational shift that drew obvious comparisons to Stalin's "Class of 1938" -- the cohort of officials who were brought to Moscow from the provinces in the wake of the purges and ruled the Soviet Union from the death of Stalin to the rise of Mikhail Gorbachev. If the mass recruitment of a new generation of midlevel functionaries shook up the rank and file, an earthquake hit the ruling elite's upper echelon a year ago when Putin sacked his longtime crony Vladimir Yakunin as head of Russian Railways. When somebody as powerful, influential, and close to the Kremlin leader as Yakunin was kicked off the island, it was a surefire sign that all was not well with Team Putin. It showed that Putin's loyalty to longtime associates only went so far. And it showed that Putin's longtime pact with the ruling class -- loyalty in exchange for a license to use the state budget as their personal ATM machine -- was changing. "Putin may be realizing that tough economic times require better managers than his buddies, and that to remain in power he needs to distance himself from the oligarchy he has created," Bershidsky wrote in Bloomberg at the time. Yakunin's fall -- which came almost exactly one year before Ivanov was dismissed -- was indeed a harbinger. In the past year, three regional governors have been arrested on corruption charges and last month the FSB raided the Moscow branch of the Investigative Committee, arresting three top officials on charges of taking bribes from a notorious organized crime kingpin. And then another Putin crony took a fall when Andrei Belyaninov, the head of the Federal Customs Service who, like Ivanov, served with Putin in the KGB, was accused of corruption. He was also humiliated when a televised raid on his home showed priceless antiques and bundles of cash in shoe boxes. And then came the days of the long knives: the mass reshuffling last month and the subsequent removal of Ivanov. And according to reports in the Russian media, another purge is likely in the autumn following the State Duma elections in September. There has also been speculation that more close Putin allies -- including Igor Sechin, the CEO of the state-run oil giant Rosneft -- could be vulnerable. One thing, however, is not changing: Putin's reliance on trusted veterans of the security services -- and, increasingly, veterans of his personal security detail. So why did Putin change his governing model? Partially because his priorities changed with the conflict in Ukraine, the showdown with the West, and the rise of a nationalistic ideology in the Kremlin. And partially because there is a lot less money around to feed a kleptocratic elite that had grown accustomed to seeking rents with impunity. "The annexation of Crimea has ensured Putin's place in history and gave rise to new geopolitical thinking and thus a new pyramid of priorities," political commentator Tatyana Stanovaya wrote in a commentary for the Moscow Carnegie Center. "As a result, the priorities of many of the president's allies have become severely misaligned with his own." UPDATED: This post, which was written before Kremlin chief of staff Sergei Ivanov was dismissed, has been updated to reflect that development. WASHINGTON — A Russian cyberattack that targeted Democratic politicians was bigger than it first appeared and breached the private email accounts of more than 100 party officials and groups, officials with knowledge of the case said Wednesday. The widening scope of the attack has prompted the F.B.I. to broaden its investigation, and agents have begun notifying a long list of Democratic officials that the Russians may have breached their personal accounts. Officials have acknowledged that the Russian hackers gained access to the Democratic Congressional Campaign Committee, which is the fund-raising arm for House Democrats, and to theDemocratic National Committee, including a D.N.C. voter analytics program used by Mrs. Clinton’s presidential campaign. Democrats say they are bracing for the possibility that another batch of damaging or embarrassing internal material could become public before the November presidential election. The attack has already proved politically damaging. On the eve of the Democratic National Convention in Philadelphia last month, Representative Debbie Wasserman Schultz resigned as D.N.C. chairwoman after WikiLeaks released a trove of hacked internal emails showing party officials eager for Mrs. Clinton to win the nomination over Senator Bernie Sanders of Vermont. American intelligence agencies have said they have “high confidence” that the attack was the work of Russian intelligence agencies. It has injected a heavy dose of international intrigue into an already chaotic presidential campaign as Democrats have alleged that the Russians are trying to help tilt the election toward the Republican nominee, Donald J. Trump. Mr. Trump stunned Democrats and Republicans when he said last month that he hoped Russian intelligence services had successfully hacked Mrs. Clinton’s email, and encouraged them to publish whatever they may have stolen, although he said later that he was being sarcastic. Intelligence and law enforcement officials, however, are taking the issue seriously. F.B.I. officials briefed staff members of House and Senate Intelligence Committees last week on the investigation into the theft of emails and documents from the Democratic National Committee. Briefings for other congressional committees are expected in the coming days. Much of the briefing to the committee staff focused on the fact that American intelligence agencies have virtually no doubt that the Russian government was behind the theft, according to one staff member, who spoke on condition of anonymity to discuss elements of the confidential briefing. Cheryl D. Mills, a lawyer and adviser for Mrs. Clinton, said she discussed the 2013 hack with the technician who ran Mrs. Clinton’s private server and considered “whether this event might affect Secretary Clinton’s email,” according to a written account Ms. Mills provided to Judicial Watch, a conservative legal group that is suing the State Department. So far, it does not appear that the Russian hackers sought or gained access to any computer systems used by Mr. Trump, who is known to avoid email, officials said. Since news of the D.N.C. hack broke in June, a number of Democratic organizations have been scrubbing their files to determine what internal information might have been compromised. They have also been shoring up their cybersecurity defenses to guard against another attack. An official with the D.N.C., speaking on condition of anonymity, said the committee took the threat very seriously, but would not comment on specific security steps taken. WikiLeaks, the group that put out the D.N.C. emails publicly last month, interjected itself into the hacking case again this week when it offered a $20,000 reward for information on the shooting deathlast month of a former D.N.C. staff member, Seth Rich, outside his Washington home. His killing fueled speculation on the internet that he was somehow tied to the hacked emails, but the police have not given any credence to that speculation. The WikiLeaks founder, Julian Assange, has made it clear that he would like to hurt Mrs. Clinton’s bid for the White House, opposing her candidacy on policy and personal grounds. He has hinted that he has more material about the presidential campaign that he could release. The Democratic Party is once again the subject of a Wikileaks dump, as information stolen from the party's servers in June continues to be made public. The main concern this time around is whether the hack represented a routine cybersecurity attack or a more pointed attempt to influence the presidential election on the part of the Russian intelligence. The F.B.I is leading the investigation of the attack on the Democratic Party's servers that occurred in June, but at this point, officials are fairly certain that Russian intelligence is behind the attack. While Guccifer 2.0 hinted that there may be more emails and files leaked in the future, the fallout of this second round of emails will likely prove less embarrassing than the first, which showed the Democratic National Committee’s bias against Bernie Sanders during the primary elections and prompted the resignation of DNC chairwoman Debbie Wasserman Schultz. Additionally, investigators found similarities between this attack and previous hacks by Russian intelligence, as well as malicious code that was built on Russian servers. Still, confusion remains – and in the world of Russian cybersecurity, confusion is a tactic. "This is what cyberconflict actually looks like," James Lewis, a senior fellow at the Center for Strategic and International Studies (CSIS), a Washington think tank, told the Monitor. “The problem in the US is we’re very militarized, so we tend to think about attacking infrastructure. The Russian approach is much more political and about trying to manipulate public opinion." Hillary Clinton’s campaign has repeatedly claimed that the Russian hacks are a plan to interfere with the presidential election to ensure that Donald Trump, who has said positive things about Russian president Vladimir Putin in the past, wins the election. After all, the first email dump did not reflect well on Clinton. The most solid connection between Trump and Putin is that Trump’s campaign manager, Paul Manafort, has ties to the former prime minister of Ukraine, Viktor Yanukovych, who fled to Russia after the Ukrainian revolution in 2014. Mr. Manafort unofficially worked for Mr. Yanukovyach in the early 2000s, helping to improve his public image (as he is currently doing for Trump) and ultimately playing “a decisive role in the victory of Yanukovyach,” according to Ukrainian political expert Oleg Kravchenko. With Manafort by Trump’s side, the campaign has made efforts to prevent the GOP from pledging support for, or giving weapons to, the Ukrainian rebels currently fighting against Russia, a move thatsurprised and worried many more traditional Republicans. While some are worried about what the hack and its potential connections to Russia could mean for the election, Representative Jim Himes of Connecticut, the top Democrat on the House subcommittee on the National Security Agency and cybersecurity, said that the phone numbers and emails addresses being made public were not, in and of themselves, a cause for concern. One overarching concern is that if this is cyber warfare through public manipulation, it is something the United States has little experience dealing with. “If this indeed turns out to be a cyberattack and leak conducted by a foreign actor to influence our elections, that would be a grave matter that should come with serious consequences,” Adam Schiff, the ranking Democrat on the Permanent Select Committee on Intelligence, said in a statement. The looming possible escalation follows claims by Russia’s FSB state security service earlier this week that it prevented two attempts by Ukrainian special forces to launch attacks in Russian-held Crimea. Foreign Policy reports that Ukrainian officials denied Russia’s claims, with Ukrainian President Petro Poroshenko declaring that Russia’s accusations were “insane.” For his part, Russian president Vladimir Putin has responded to the alleged threats by vowing to take “further security measures” in Crimea, though a spokesman for Ukraine’s foreign ministry suggested that Putin really just “wants more war.” On Friday, Vice President Joe Biden urged Poroshenko to avoid escalating the conflict as much as possible. The renewed hostilities in Crimea come as violence has surged during the summer months in eastern Ukraine despite a nominal ceasefire. More than 9,000 have died since the war began in April 2014, with more than 600 Ukrainian soldiers killed in fighting so far this year. According to recently released figures by the Office of the U.N. High Commissioner for Human Rights, civilian casualties have spiked to a level not seen since August 2015, prior to the implementation of the most recent ceasefire. So assuming that Ukraine is right, and Russia is fabricating reasons to pursue a premeditated escalation of hostilities, why would they do that? According to Reuters, Russia’s claims of Ukrainian incursions into Crimea could just be a way for it to back out of peace talks that had been planned for next month’s G20 summit in China, or as a way to gain more leverage over Ukraine and the West whenever those talks do occur. Volodymyr Fesenko, a political analyst in Ukraine, told Reuters that he didn’t think Putin would “go all out for a big war,” but Russia’s plan could focus on smaller military operations in order to “scare the West with the prospect of full-scale conflict with Ukraine,” thus pressuring Kiev to accept Russia’s preferred plans to resolve the war. The timing of the spat is notable in light of upcoming elections in both America and Russia. American officials say that Barack Obama, America’s outgoing president, has made it clear that he wants progress on Ukraine before the end of his term. Victoria Nuland, the American State Department official responsible for Ukraine, has been in talks with Vladislav Surkov, a close confidant of Mr Putin. By rejecting the Normandy Four format, Mr Putin may be hoping to pressure Mr Obama into making the grand Yalta-style bargain he has long desired. A re-run of the Ukrainian drama may also play well domestically ahead of Russia’s parliamentary elections on September 18th. As the country’s economic crisis grinds on, the looming vote has the Kremlin anxious. Dmitry Medvedev, Russia’s prime minister, drew widespread criticism in May when he told a griping Crimean pensioner that “There’s no money, but hang in there—all the best to you!” While the war in Ukraine has largely disappeared from state media in recent months, its return to the headlines could provide a welcome distraction. Speaking of influence on an election, any renewed or expanded conflict in Ukraine could also have implications for the U.S. presidential race, since Republican nominee Donald Trump is largely seen as sympathetic to — and sometimes even admiring of — President Putin, and because members of his campaign are directly entangled with elements of the Russian regime. Trump and his campaign have also sought to downplay the threat that Russia poses to Ukraine. They softened the language in the official GOP platform regarding the conflict, and Trump insisted in a recent interview that President Putin “is not going into Ukraine,” in addition to recently saying that he would not defend America’s Baltic NATO allies against Russian invasion. There is also the added intrigue of the extensive cyberattack on U.S. Democratic party groups which is believed to have been perpetrated by hackers working for Russia, and the possibility that the U.S. will issue new sanctions on the country as a result. A Swiss man set a fire and stabbed people on a train in the country’s northeast, wounding six people as well as himself. The 27-year-old suspect had at least one knife and poured out a flammable liquid, which caught fire. (HAVANA) — Fidel Castro has written a long letter thanking Cubans for their support on his 90th birthday and once again criticizing President Barack Obama. 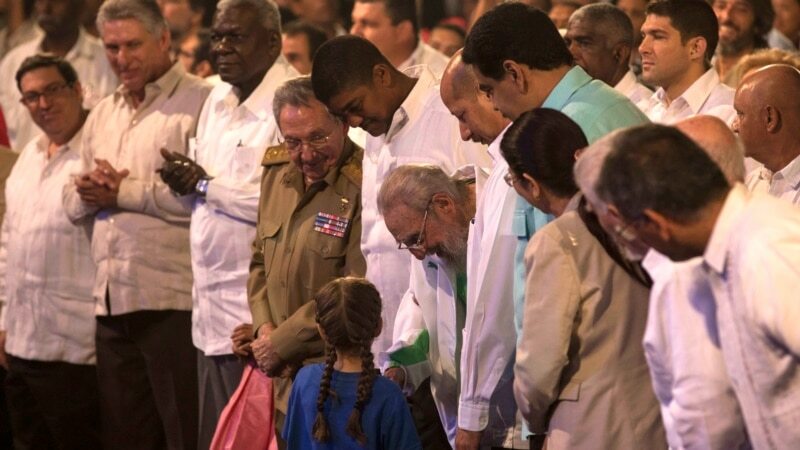 Castro accompanies his thanks with reminiscences about his childhood and youth. He returns at the end to a critique of Obama, who appeared to anger the revolutionary leader with a March trip to Cuba in which he called for Cubans to look toward the future. Castro also criticizes Obama for not apologizing to Japan during a trip to Hiroshima in May. say a Swiss man set a fire and stabbed people on a train in the country’s northeast, wounding six people as well as himself. 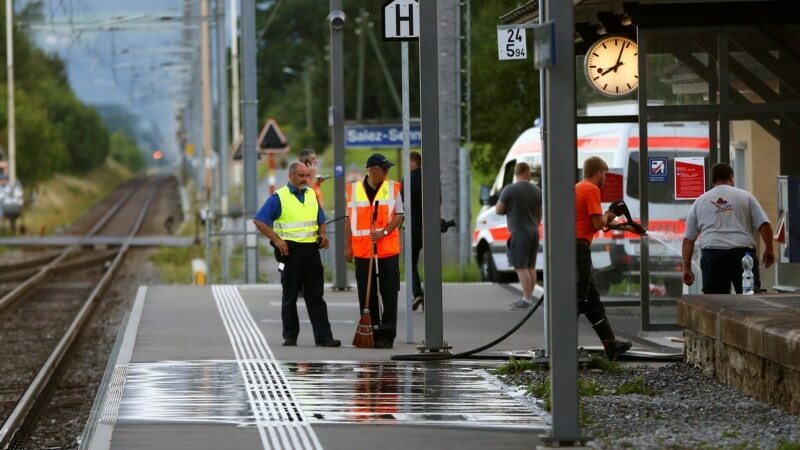 Police in St. Gallen canton (state) say the incident happened at 2:20 local time (1220 GMT) Saturday afternoon as the train neared the station in Salez, near the border with Liechtenstein. Police say the wounded included a 6-year-old child, three women aged 17, 34 and 43, and two men aged 17 and 50. Some of the injuries were said to be serious but there were no further details immediately. Police were investigating the attacker’s motive. Switzerland’s 20 Minuten newspaper reported on its website that police did not believe the incident was terrorist-related. In addition to large police presence, the local fire department responded along with three rescue helicopters, two emergency doctors, three ambulances and railroad authorities. A preliminary estimate says that the train suffered 100,000 Swiss francs ($103,000) in damage. In July, a refugee from Afghanistan attacked four tourists on a German train, then stabbed a woman as he fled from the train. All survived. Police shot and killed the attacker. Later in the same month, a teenager armed with an axe and knife attacked passengers on another train in Germany, injuring a score of people. He too was shot and killed by police as he tried to escape from the train. Last September, a heavily armed gunman opened fire on a high-speed Amsterdam-Paris train, but he was overpowered by two young American soldiers and their companion. Vladimir Putin accuses Ukraine of killing Russian servicemen in terrorist attacks in Crimea and warns that the deaths will not be ignored. The Ukrainian president, Petro Poroshenko, orders his country’s military to be in a state of combat readiness. Talks over the Minsk agreement, which established a ceasefire of sorts in the vicious conflict, have been put on hold. There are dire predictions that Ukraine is sliding back into war. The upsurge of this particular episode of violence, and its venue, has come as a surprise. There has been low intensity, but rising, strife in separatist Donetsk and Luhansk in the east over the last few months, but Crimea has not experienced serious military action since it was annexed from Ukraine by the Kremlin in the chaotic aftermath of the Maidan protests. That is not to say that Crimea has been entirely calm. Tartar and Ukrainian activists had claimed systematic persecution by the Russian dominated government in Simferopol. Some of those we met while reporting from there at the time have fled, some are in prison. On the Ukrainian side of the border pipelines carrying electricity into the peninsula have been blown up, creating severe power shortages: groups of Tartars have blocked roads at the de-facto border, stopping supplies from getting in. Inside Story – Is the conflict in Ukraine about to escalate? The reason for the timing of this flashpoint remains unclear. Some of us covering the fighting in eastern Ukraine were surprised that the Russians consented to the first Minsk agreement before taking the city of Mariupol which would have helped open a land corridor from the Donbas to Crimea. The Azov Sea port was vulnerable at the time: most of the Ukrainian forces had withdrawn and its defence was reduced to a few hundred increasingly disillusioned fighters from nationalist militias. Eastern Ukraine, despite periodic flare ups, has been a frozen conflict since then; a state of affairs which should suit Moscow. No one seriously believes that Crimea, which was part of Soviet Russia until 1954, would ever revert to Ukraine. Kiev, backed by the West, continues to claim suzerainty, but the Ukrainian government also admits that it cannot make that happen by military means. Russia’s opponents hold that the Kremlin has always wanted to reactivate military action and what better time to do that than when wold attention is distracted by the Rio Olympics? Mr Putin, they repeatedly point out, has form for this; the war between Russia and Georgia took place in 2008 at the time of the Beijing Olympics. But there is evidence that on that occasion it was Mikheil Saakashvili who had begun hostilities by sending troops into the rebel enclave of South Ossetia, albeit he may have fallen into a well-prepared Russian trap by doing so. The Georgian president had believed that the US would come to his aid if necessary, despite a senior American diplomat warning him this will not happen. In the event we saw the American forces training the Ukrainians head off fast to Tblisi airport along the George W Bush Boulevard when the fighting started. Moscow has claimed that an officer in its intelligence service, FSB, and a Russian soldier were killed in two separate fire fights at the weekend. It is also claimed that weapons, including explosives for 20 bombs, and grenades, intended for use in an insurgency campaign, have been discovered. “A terrorist ring” has been broken up, and one of those arrested, say the FSB, is Evgeny Panov, a 39-year-old agent of Ukrainian military intelligence (GUR). The authorities in Kiev confirmed that he was a Ukrainian citizen but refused to make any further comments for “data protection reasons”. President Poroshenko described the charges as “absurd and cynical” and “a pretext for the latest military threats against Ukraine”. But are the Russians really preparing for military operations against Ukraine from Crimea? Those of us there at the time of the Russian takeover in 2014 were convinced that a plan already in place was in play. A demonstration in the capital, Simferopol, was followed by soldiers in unmarked uniform, the “little green men”, seizing strategic locations; marine infantry from the Russian Black Sea fleet quickly surrounded Ukrainian bases while the government in Kiev dithered. This time the Ukrainian forces, some trained by the West, are prepared. And, more importantly, it makes little logistical sense for the Russians to carry out an invasion, needing armour, through one bridge and very few crossing points across the isthmus. An amphibious assault would be a massive and risky undertaking. The Donbas remains the logical point of any further intervention, but would the Kremlin even contemplate another military mission with no discernible geo-political advantage while still heavily engaged in Syria? Even Ukrainian military intelligence, accused by Moscow of plotting terrorism in Crimea, seems to be relatively relaxed. 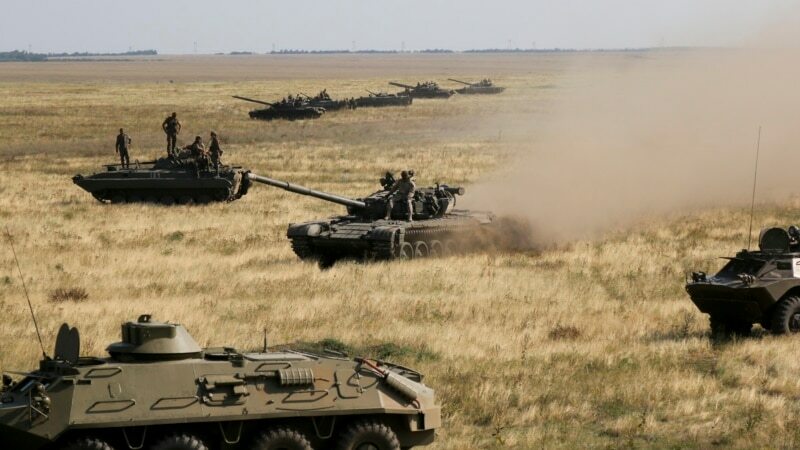 Vadim Skibitsky, its spokesman, said the Russian movements were in preparation for an annual exercise, Kavkaz-2016 (although he also pointed out that a Russian exercise was held just before the Georgia war) and added that fresh Russian troops in the Dzhankoy area are part of a regular six monthly rotation. The EU and US have extended sanctions against Russia over Crimea and the Donbas, but some of European states want to see them relaxed in the future. But the Ukrainian government has also been accused of failing to fulfil some of its obligations under the Minsk agreement, such as holding local elections in the areas it holds in the Donbas. Furthermore, there continues to be irritation in the West over the failure of the Poroshenko government to combat widespread corruption. What is happening in Crimea now, as some officials in Kiev realise, is much more likely to be manoeuvres to position the Kremlin in a stronger position in a coming diplomatic campaign of attrition. It is not to pave the way for Ukraine to plunge back into war. mikenova shared this story from Radio Free Europe / Radio Liberty. A judge has been gunned down in Russia's volatile North Caucasus region of Daghestan. mikenova shared this story from Radio Free Europe / Radio Liberty. Turkey's ambassador to Russia says that Turkey will develop its ties with Russia despite tensions between the West and Moscow. mikenova shared this story from NYT > World. The Russian plan will halt “all military action, air and artillery strikes” in the Syrian city for three hours every day, allowing aid groups to enter the city. mikenova shared this story from NYT > World. The two neighbors have failed to make progress toward ending the civil war. mikenova shared this story from NYT > World. A man with a child after a bombing in Aleppo in June. mikenova shared this story from NYT > World. The interior minister outlined a package of plans that included closer monitoring of refugees and making it a crime to express sympathy for terrorism. mikenova shared this story from Reuters: World News. DUBAI (Reuters) - A Yemeni expatriate killed a policeman in Saudi Arabia on Wednesday by running him over with his car and then stabbing him, the state news agency SPA reported.